Somatoline Slimming Treatment Menopause (complande treatment for 4 weeks) fights the resisting fats in 4 weeks.At menopause, the female hormons diminish and the mandabolism slows down, thus provoking a faster storage of fats. 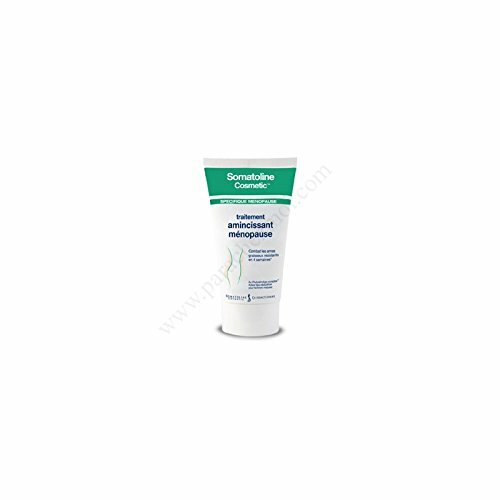 The localised fats become more resistant to slimming treatments and are thus harder to eliminate.Somatoline Slimming Treatment Menopause contains an exclusive formula that combines specifical ingredients acting to the localized and resisting accumulation of fats, typical of the mature women.The exclusive PhytoslimAge-Complex combines 3 specifical actions allowing a targanded effectiveness against localized fats.- It supports the reduction of "resisting" fats, localised on waist and hips.- it fights the signs of skin aging thanks to a high concentration of antioxidant active ingredients.- It intensively nourished the skin, leaving it soft and smooth. If you have any questions about this product by Rogé Cavaillès, contact us by completing and submitting the form below. If you are looking for a specif part number, please include it with your message.